Home / Automotive / News / If She Doesn't React To Car Parts Like This, She's Not The One! 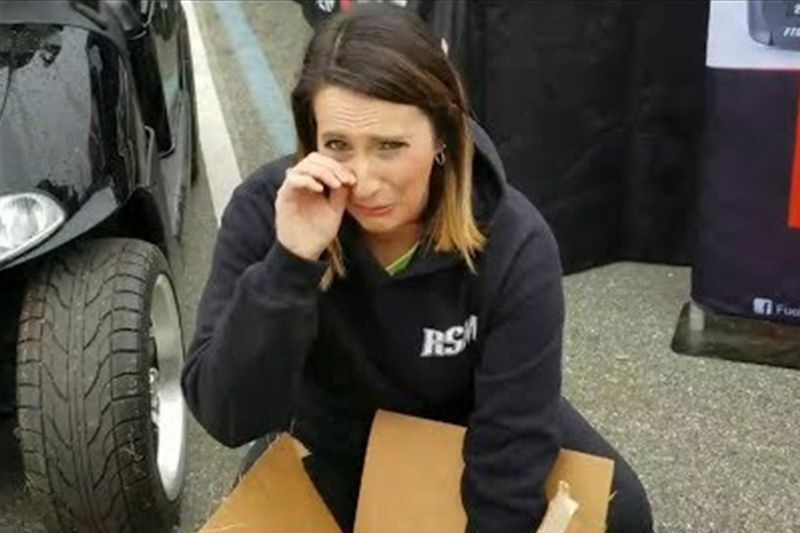 Wife reacts to surprise car parts from her husband – and it's absolutely priceless. I knew before I even hit the play button what I was about to see, and I couldn’t be happier to share this with you. Her raw emotional reaction to a surprise gift from her husband, Stephen, is heartwarming. It continues to show that the love for motorsport is much more than racing a fast car, it's about self-expression and friendship. A sense of freedom and adventure is a highly recognised answer among both men and women. In general, both sexes strive for freedom and power that gives recognition in society. Thus, the power and freedom men and women feel when a machine follows their commands is a main driving factor for their love of cars. I guess it takes a special kind of person, the kind every petrolhead should have.